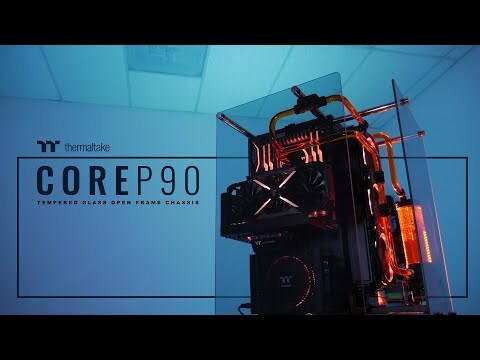 Product Overview The Cornerstone of your next gaming PC is the Thermaltake Core P90. Supporting 3-way placement layouts, extended storage options and proper architecture for custom liquid cooling demands. Dual GPU Layouts allow users to go vertical with (included) TT Gaming Riser cable to extend the reach for proper performance. Secure your components with dual 5mm thick tempered glass to protect and present. 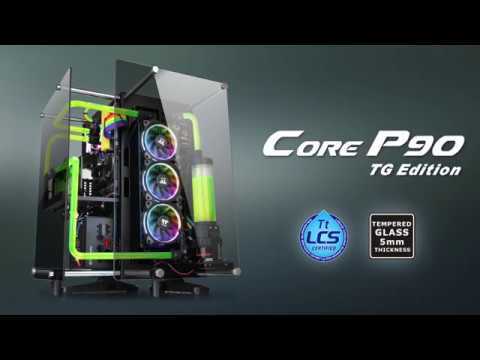 Seeing is believing, the Core P90 TG brings the ultimate in PC hardware viewing wherever you mount or display. • A New Angle on PC Gaming: Build from a different angle isolating components for proper heat dissipation. • 2-Sided Glass Viewing Protection: Surrounded in 5mm thick tempered glass panels to protect and present. • Go Vertical: 2-way GPU placement allows vertical GPU mounting (TT Gaming Riser Cable Included). • 3-Way Placement Layout: Supporting 3-way placement layouts (Wall-mount, Vertical and Horizontal) angle your PC in multiple ways. • Fully Modular Design: Provides multiple configurations and flexibility for custom PC Enthusiasts. • VESA Compatible: Supports 200x200, 100x100, 75x75 VESA Layouts. 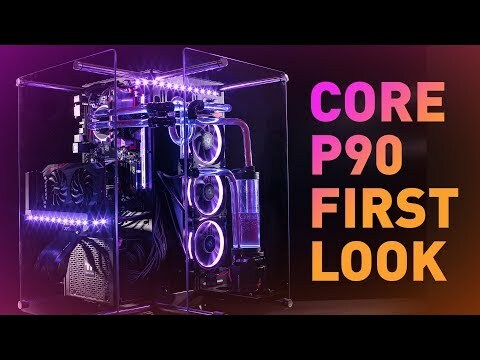 • Core 90TG Case Chassis. • 1x TT Gaming Riser Cable. Will this case support a Gigabyte Aorus z270x Gaming 9 motherboard.